I've been in the automotive service and repair industry for almost 25 years. I've worked at both large and independent shops and have worked on most makes and models. My number one priority is to diagnose and resolve your vehicle's issue to your complete satisfaction. I would recommend Allen to everyone. I appreciate his honesty and advice! Allen was friendly and explained every action he completed during the repair. He made sure I was ok with any additional repair before completing it. I would definitely hire him again. I don't give out 5 stars because I always believe there could be something done just a little better. But I can honestly say with Allen, that was not the case. Not only was he professional and an expert, but he went above and beyond my expectations. THANK YOU ALLEN! 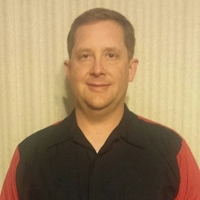 Allen is personable, knowledgeable and having been an electronic tech in the military and civilian markets, competent mechanically and electronically. I would let him work on my equipment again without hesitation. Allen was incredibly friendly, informative, and timely with his work on my car. He made the entire process smooth and easy. Allen did a great job. He arrived prepared and on time then quickly identified the problem then fixed it right away. He proceeded to do a full check on the entire car free of charge and gave me useful recommendations for future service and provided any necessary information. With the exception of having to reschedule my initial appointment, Allen and the MyMechanic service was top notch! Allen was very professional, went over the various points of the inspection with me and I learned that I needed a new tire and that my rear seat belts don't work properly both of which I didn't know. He was amazing. I am so glad to finally find a service where I can find a mobile mechanic that actually does what he promised to do and shows up on time with the knowledge needed to perform the work needed such a breath of fresh air for busy people always on the go that don't have the time to take their car to the shop for a simple service that can take sometime days..
Great service! Allen was awesome. Called two days early to make sure everything was set. Was on time. Very professional and courteous. Job was done quickly. Gave honest recommendations about the state of the rest of my car. Found Problems the seller of the truck didn't disclose prior to inspection. Seller had the parts to do the work which he did end up giving me. He never would have given the parts for the truck had it not been for Allen's inspection. Allen was fantastic! The whole service was quick and easy! Nothing is easier than getting an oil change in your own garage! I highly recommend Allen! He was very nice and polite and honest about my inspection and what needed to be fixed and how urgent it was or if I could wait a little to get stuff done. He wasn't pushy and all and answered any questions I had!